Yesterday, Mary-Kate and Ashley Olsen have opened their first brick-and-mortar store for The Row, and it sells furniture. The red ribbon has been cut to The Row’s first flagship store in West Hollywood, LA on Melrose Place and we could only imagine that it’s a minimalist decorator’s dream. 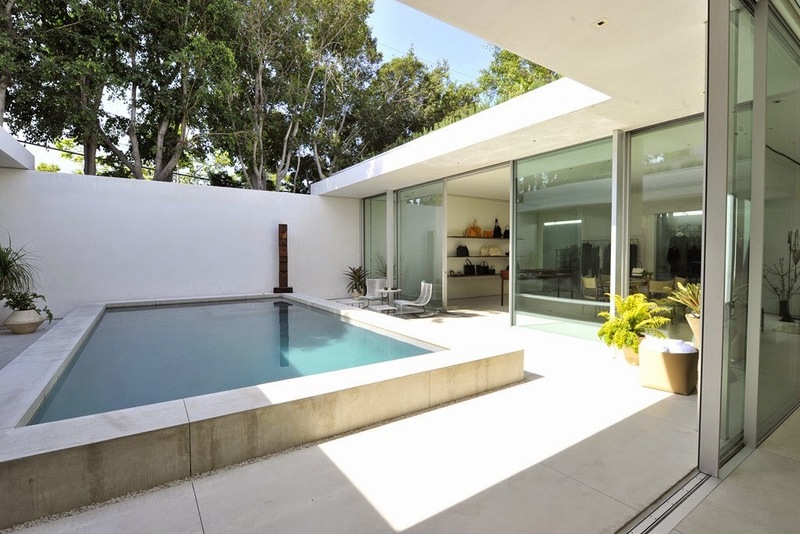 The layout itself is reminiscent of midcentury modern California pad – complete with a swimming pool in its glass courtyard. 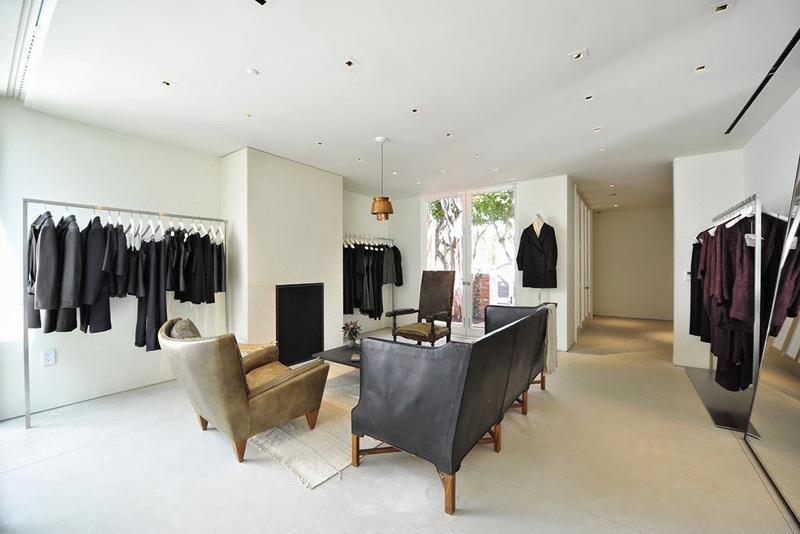 In an interview with WWD, the designing duo referred to the shop as “hidden gem,” because its not visible from the street; customer have to pass through white double doors and then a narrow brick courtyard to reach it. The Olsens wanted the store to represent Los Angeles, where The Row initially began, so they worked with designers David Montalba and Courtney Applebaum, as well as celebrated local furniture and antique dealers to pull the space together. While the 3,800-square-foot property has a minimalist aesthetic, it is completely full of notable pieces, including a Jean Prouvé dining table, a Fortuny floor lamp, Poul Kjaerholm coffee tables, and Paul McCobb woven leather chairs – all of which are also for sale. It was important to both Mary-Kate and Ashley to not only sell The Row’s ready-to-wear and accessories but include furniture, jewelry, and décor from local vendors, to make the evolution into a lifestyle brand. In addition to the brand’s clothing and goods The Row store will house in-store exclusives, collaborations, fine jewelry from Sydney Garber by Brooke Neidich, a selection of vintage jewelry, and Manolo Blahniks that the designers have always loved. The Row is one of my favorite labels and I’ve coveted a few pieces that are my most valuable articles of clothing. Since you can’t shop directly on their site, this concept store is a turning point for the brand, and of course the sartorial dresser is more than appreciative that The Row is diving into retail. Head over to WWD to hear more details about the space and take the full tour.